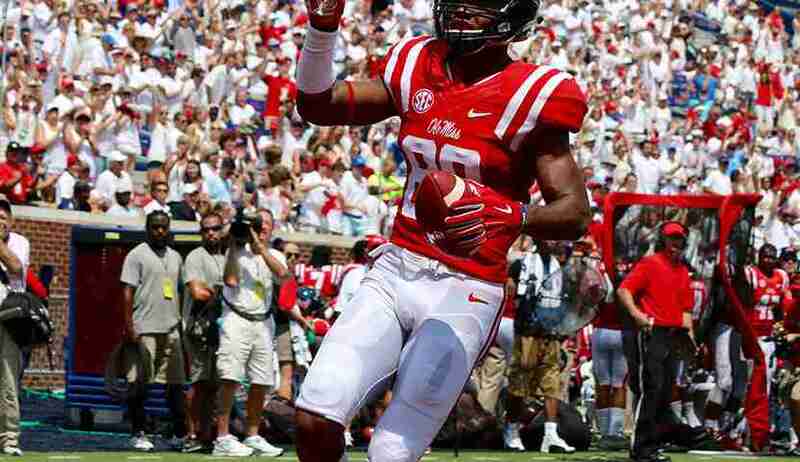 There’s nothing like going back home for the weekend, and that’s what Ole Miss senior wide receiver Cody Core is doing today (11 a.m. CT, ESPN) when the 19th-Rebels take on Auburn (4-3, 1-3) in a pivotal Southeastern Conference match-up. And Core is excited, very excited. Core remembers when he had to leave the city of Auburn behind for college in Oxford. 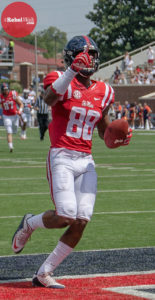 It wasn’t easy for the 6-foot-3 receiver to leave his family, but he will have plenty of family around to see him in his final curtain call and is excited about who all will be attending his final game inside Jordan-Hare Stadium. Before Core took the field as a collegiate football player in the SEC, he was once a fan of the Tigers, sitting in the stands watching a football program that was recruiting him during his senior year of high school. But when he realized he was more comfortable around head coach Hugh Freeze and in Oxford, Core decided to become part of the Ole Miss family. Knowing this will be the last time he will play in front of familiar faces, Core wants to make the best of this opportunity and realizes how important this game is for the Rebels (6-2, 3-1), who controls their own destiny for the SEC Western Division title. This time around, Core will play a more pivotal role on offense compared to his last trip to Jordan-Hare Stadium when he was more on the defensive side of the ball at the defensive back position. In the 2013 game against Auburn, Core didn’t record a single tackle or catch. However, that’s going to change since Core has become an intriguing part of an Ole Miss offense that leads the SEC in total offense (514.75 ypg). So far this season, Core has 23 receptions for 426 yards and three touchdowns. One of his biggest highlights as a receiver this year came when quarterback Chad Kelly found a lonely Core downfield for a 73-yard touchdown reception in the Rebels’ 43-37 road win against Alabama. Core is looking forward to showing out for his home crowd.